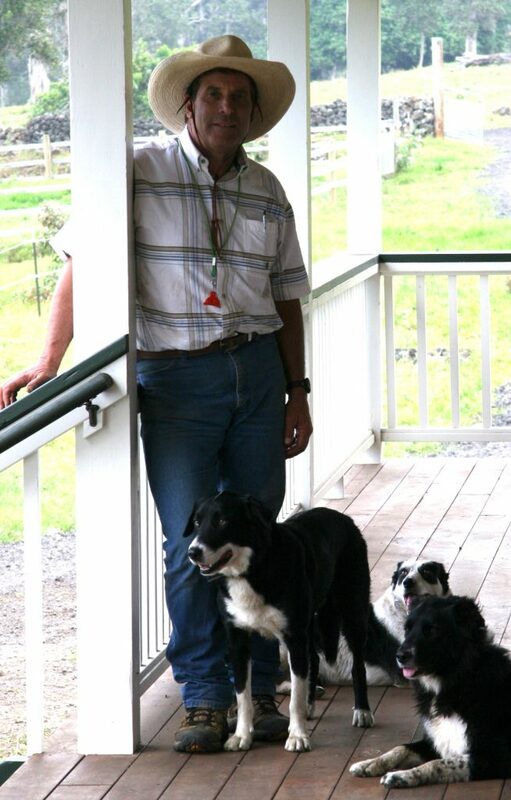 In response to our article on Clicker Training, we hear from Tim McGaffic, a Colorado trainer. McGaffic was introduced to Ray Hunt during the 1980s while working with difficult horses. The experience changed his thinking about how to handle horses and set him on a journey to search out Tom and Bill Dorrance and horsemen of similar philosophy. McGaffic is known for low stress cattle management, his work with wild mustangs, and horsemanship clinics. 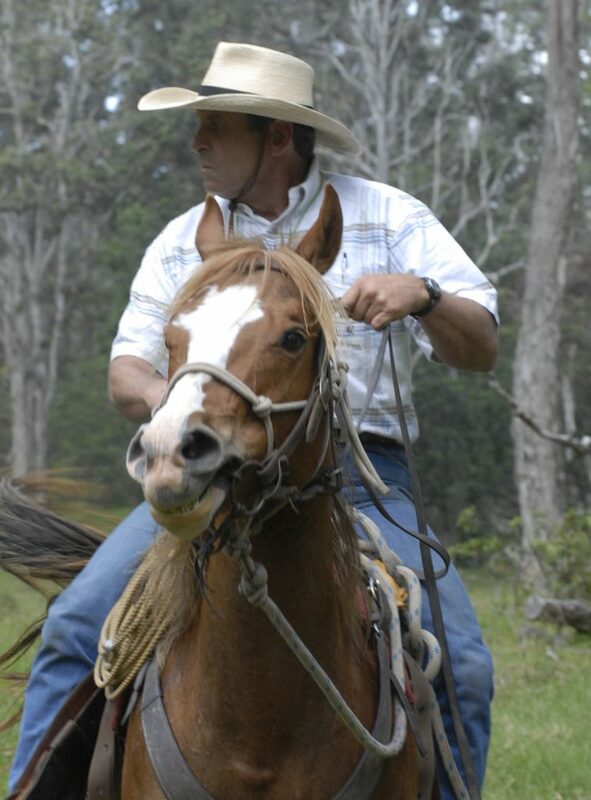 He has conducted horse clinics and taught low stress stockmanship around the country and served as ranch manager of two large ranches in Hawaii that had been abandoned for years. McGaffic developed The Nature of Natural, a philosophy based essentially on the laws of nature and Applied Behavioral Science. He currently manages a small ranch in Colorado and has established an educational program for the betterment of horses. As a trainer who has incorporated positive reinforcement into my training regimen, I have been asked to comment on the topic of clicker training. There are some basic misunderstandings about so called clicker training and they seem to be rooted, for the most part, in an incomplete knowledge of learning and thus clicker training or positive reinforcement. To start, let’s talk about some terms, beginning with the ever-contentious subject (only for some), of clicker training. Clicker training is simply an application of positive reinforcement. The use of a clicker is often useful to start the process as the sound it makes is distinct from language and thus can be used to become a clear marker to indicate desired behaviors to the trainee/horse and is more discernible from all other random sounds. When paired with reinforcement, often food (forage acquisition a category of behavior) or whither rub (social facilitation) the sound can predict a future pleasant outcome. This tendency to predict an outcome is based in what is known as Associative Learning. It’s thought to be the most fundamental form of learning. We do it all the time. We pass a sign, a restaurant, hear a sound, or see a person we know, and we predict an outcome, or, and more importantly, have a feeling about the particular stimuli, either pleasant or aversive. This same process happens in your horse and those feelings that occur are thought to be a guide as to what to do, an evolutionary adaption. In short, all creatures learn through a set of common ways that science has studied as learning theory, or in the case of animals, Applied Behavior Science. In traditional horse training we use negative reinforcement, known to most as pressure and release, which is another way to learn. Both methods fall under the umbrella of Operant Conditioning, a term coined by American psychologist BF Skinner. It includes positive and negative reinforcement as well as two forms of punishment. The word Operant meaning to operate or be able to manipulate the environment through behavior. All four methods of learning have an associated feeling. Positive Reinforcement is associated with pleasure, negative reinforcement with relief, positive punishment with fear, and negative punishment with frustration. Those feelings have a great influence on motivation Those feelings have a great influence on motivation and, in the words of the AQHA rule book for reining, the horse must be ‘willingly guided’. To be truly willingly guided, one would imagine that some pleasure would be involved. My root philosophy is based in the Tom Dorrance, Ray Hunt approach to training. I’ve had the privilege to ride with many world-class trainers in disciplines such as dressage, reined cow horse, reining, and endurance. In addition, I worked at an endangered species ranch and saw firsthand how positive reinforcement was being used to work with rhinoceroses to research pregnancy and related issues. Trust me, it is quite difficult to herd, coerce or force a Rhino into doing anything it doesn’t want to do. And if you think you want to try, hopefully you are very fast and agile. With that experience and having run into some particularly difficult horse training problems I thought I would investigate positive reinforcement on a deeper level. I found two very accomplished marine mammal trainers who were now training horses and sought their help. They taught me the basics along with some theory and off I went. I now train with what is called Combined Reinforcement. Here’s a good description by Equitation Science International, an Australian company which offers training courses: “Positive and negative reinforcement can be used in conjunction, putatively to enhance the reinforcing effects of each other. Whether negative reinforcement training of horses is augmented by primary or secondary positive reinforcement, the actual mechanism of learning is termed Combined Reinforcement”. The purists, on either side of the discussion will probably have their reasons why combining the two is not a valid approach. However, as noted on the Equitation Science International site, “when combined reinforcement is used, the adverse effects of negative reinforcement may be reduced. In addition, combined reinforcement may also be used to increase the probability that the naive horse shows the desired behavior, which can then be rewarded through both negative and positive reinforcement”. Of course, having feel and recognizing innate tendencies take a certain amount of time for the trainer to learn, but those skills will only enhance the precision with which behaviors can be marked, leading to a lot of success for both horse and rider. I continue to be an advocate for combined reinforcement and continually seek more understanding and knowledge to become more proficient at it. I believe it is a very effective way to train a horse and one that the horses really seem to enjoy. Learning more about behavior and the mechanisms that create and alter behavior has not only been helpful but a very interesting journey and one that I enthusiastically pursue daily. And one last note, concerning the process, it’s a lot more fun for me and I think for the horse, too. But who really knows what the horse actually thinks? 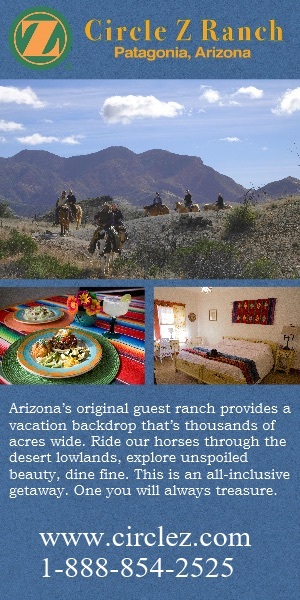 Posted in Best Horse Practices, Reviews and Links. Thanks for publishing this clarifying article! Tim has helped me with my Rocky and my mustang (adopted from the wild), and I found the clicker/marker training to be invaluable. I learned that you do not need to carry a mechanical clicker, but that any distinctive sound can be a marker of the desired behavior. I use it on the trail, in the arena, and in the barn or whenever I’m doing anything with my horses. They have became so much more interested and engaged, and they seem to truly enjoy it. I am not a professional trainer, and my timing is not always great, so it gave me a new tool that helps me communicate more clearly with my horses, which ultimately is what I believe we all seek. And Tim has helped and rehabilitated so many damaged horses, we are fortunate that he is part of our community. What an interesting and informative article on clicker training. It helps me to see the positive in clicker training. I really like his term “Combined Reinforcement” to describe his training and would definitely be on board with learning more. Thanks Tim for such a clear and insightful read. And thanks to Nicker News for publishing an article that clarifies what “clicker” training is and isn’t. I will share that I’m working with a new, extremely fearful wild mare from the Sulphur HMA, known to produce highly reactive horses. Before she would eat hay from or touch my hand, still snorty, and extremely sensitive to any movement on my part, she “got” target training, using positive reinforcement, in about five minutes and when she sees the target can’t wait to play. It’s a clear example of how much horses can enjoy engaging in a positive way. After all, don’t we all ask, “What’s in it for me?” During target training, her mind is engaged on something she finds intrinsically enjoyable rather than fear and worry, which has allowed our other gentling exercises to progress at a faster rate than they otherwise would. It’s pretty interesting to see the wheels turn. Whilst I congratulate NickerNews and Tim for taking the time to properly address the problems with the earlier article about Clicker Training (Positive Reinforcement). I feel there should be a Part 3!! Tim has seen the benefits of training rhinos with Positive Reinforcement and whilst seeming to have a good grip on Learning Theory and Applied Behaviour Analysis, somehow we must train horses differently?? Why is this? It would also be helpful for commentators to declare their interests and bias, ie. 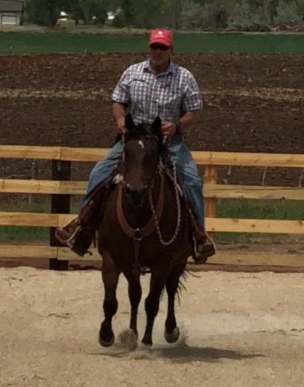 Tim is involved with Equitation Science and their firm stance is that we must train horses with “combined reinforcement” despite much evidence that Positive Reinforcement is more humane. When Skinner described Operant Conditioning and the quadrants, there was no suggestion that “combined reinforcement” is even a thing, much less more effective or what he would recommend. I’d suggest Part 3 incorporate a non biased account of Positive Reinforcement training from someone who understands that we all learn the same and that the most effective, but also the most kind and humane training method for any organism, is Positive Reinforcement. Someone like Professor Susan Friedman or the highly respected Ken Ramirez would be good interviewees for the ‘other side’. They also understand that Classical Conditioning is yet another way we all learn and that by association, if we use aversives when utilising Negative Reinforcement, we also become associated with and a predictor of aversive experiences and this ultimately affects our relationships with our animals. I’m responding to Pauline’s comments regarding Tim McGaffic’s article Expanding the Trainers Toolbox. Tim McGaffic and I are partners at the Nature of Natural and we support the principles of equitation science and Applied Behavioral Science. We are long time advocates of compassionate training and welfare of the horse. There were some inaccuracies which I would like to address. First, the International Society for Equitation Science does not promote any one type of training methodology. Second, ISES most certainly does not have a” firm stance” regarding “have too” use of Combined Reinforcement. Go to their website and check out what there ARE all about for yourself. Pauline asked why must we train horses differently? Because one has to admit that we don’t ride Rhino’s, but we do ride horses for play, therapy and work in the real world or at least some of us do. When an environmental stimulus rapidly changes to a threat level and a horse enters a highly aroused state, interest in food acquisition drops to zero and survival (flight or fight) comes to the surface at mach speed. From a safety perspective, a horse that is conditioned to respond to a human under those circumstances is not an option but often the difference between of life and death. Since Skinner came on the scene long ago there have been huge advances in the field of Applied Behavioral Science through provable scientific research. Knowledge is not stagnant but an ever-evolving process. One should look to the nature of the natural world and not an artificially bubble wrapped environment to observe how animals learn without the encumbrances of human constraints. It isn’t always a picture of goodness and light but nonetheless effective in the evolutionary survival of species. And the last time I checked in with Mother Nature all animals basically still learn the same way which falls under the big picture umbrella of learning theory. A human’s very presence can be a form of negative reinforcement. Think about that. Using a halter and a lead rope, fences and riding etc. all contain elements of -R. They never ever can get away from “us” or the -R aspects of their domesticated lives. Something else to contemplate is that horses are basically prisoners (hopefully with benevolent jailers) to our every whim including our training choices whether they are +R, _R or CR or traditional methods. It can be argued and documented that positive reinforcement has the potential to create stress in the form of frustration and stereotypical behavior. Excessive -R and poor timing can create conflict behavior. CR seems to help mitigate those two issues, but it seems obvious we must still train the trainers. All types of learning can be a source of angst if the handler lacks “timing, balance and feel” and knowledge of the ethology of the horse. It is outside the scope of my brief comments to go into a comprehensive insight in the latest in the science of animal learning, so I refer you to a research paper “The Application of Learning Theory in Horse Training”. At the Nature of Natural we strive for healthy discussions, collaborations and cooperation in our never-ending search for knowledge and advocacy for the horse and we seek to train in the most humane way possible. We disagree with black and right thinking and extremism in any methodology. There is nothing ever 100% right or wrong but many shades of gray that overlap and align for compassionate training of horses and all animals. The documentary Equus, available through PBS, clearly demonstrates the interchange of the nature of natural behavior of both +R and -R in the Prsewalski horse. Why not have both available in your trainer’s tool box ? I believe that the “firm stance” of purists on either side, who choose to exclude or ignore the reality of the nature of natural and fail to acknowledge all aspects of learning theory undermine the good work of many people who care deeply for horses and all animals and who work so tirelessly in advocacy on their behalf. I humbly suggest we learn to discuss our concerns and differences and learn to pull together for the good of the horse. Hi Pauline – As an IAABC Certified Horse Behavior Consultant (and self-confessed lifelong science geek), I can affirm your comment that (so far as I know), Skinner did not define or study “combined reinforcement.” That term is relatively new, and appears to be growing in certain circles. You are also correct that ALL animals learn the same way, both through the four quadrants of Operant Conditioning, and the associative learning of Classical Conditioning. Through the works of other more recent researchers such as Dr. Jaak Panksepp, we also have greater understanding of the emotional systems at work in the brains of all mammals. In my lectures and workshops, I describe the emotions relative to the four quadrants in this way; Positive Reinforcement R+ = Pleasure; Negative Reinforcement R- = Relief; Negative Punishment P- = Disappointment / Frustration; Positive Punishment P+ = Fear / Rage. In my experience, the intensity of these emotions is directly relative to the intensity/value of the stimulus being used (pleasant/desirable things added in R+ or removed in P-; unpleasant/unwanted things removed in R- or added in P+) – and that relative value is ALWAYS determined by the individual animal, not the person wielding the stimulus. A stimulus could be just a minor nuisance, or it could be something extremely painful or frightening….. these would all be considered “aversives,” and yet there can be a very big difference in the relative value to an individual. The truth is that ALL 4 quadrants are part of the real world, and important to learning. If a foal is too rough with his teeth while nursing, mom will nip or kick out or walk away – and he learns to modify his behavior – and yet the mare/foal bond and relationship remains the strongest and most trusting. We’d be hard pressed to say that the mare is being inhumane because she is using P+ and P- with her foal. In humans, a daily example of R- is the “seat belt chime” in our cars. We buckle up to make it stop – our behavior is reinforced because we have the power to turn off the annoyance. The emotion we feel is relief – but we are not traumatized by the experience. In my decades of personal and professional interaction with hundreds of horses, I have seen the thoughtful and well-timed use of negative reinforcement with low-level pressure, which has not caused emotional fall out or damaged the human-horse bond. I’ve also seen not-so-good training, high level pressure, and very unhappy horses. With positive reinforcement, I’ve seen great training…. and I’ve seen well-intentioned yet unskilled people make a total mess with R+, creating horses with high frustration and unsafe behaviors. The ability to correctly read the emotional state of the horse is key – as well as the priority of welfare and relationship – and of course, the skill of the trainer. In my personal and professional experience, combining R+ with well planned and executed R- gives us the best of both worlds. With all due respect to my good friends and wonderful colleagues in the upper echelons of zoo-keeping, marine mammals and dog training – we do have a difference with horses. Most people want to ride or use their horses, not simply keep them as pasture pets. Unlike zoos and marine parks, our horses are not worked primarily in protective contact. Unlike dogs, if a horse is frightened and knocks into you, there’s a much higher likelihood of serious injury. For safety and other reasons, I firmly believe that horses should be at ease and fluent in the language of yielding to pressure (whether from a lead rope, hand on hip, communication with the reins, etc. ), and understand not to invade the human’s personal space unless invited. For me, this is most quickly and easily trained by combining R+ and R-, and produces happy and confident horses. If you are ever in Florida, Pauline (or for any readers of Nicker News), I offer a warm welcome to come visit my breeding and training farm, and see first-hand how the combination of R+ and R- is working in the day-to-day, how the horses feel about it, the quality of their performance and responses, and the strength of their relationships with humans. And actually even with zoo animals, there are times when they use negative reinforcement! It’s not the first choice, but sometimes necessary for the welfare of the animal. I think this is an interesting, albeit complicated discussion. I am the marine mammal trainer that Tim mentioned in the article. We first met a long time ago when he was having a difficult time with a particular horse. I went on my way and we only got back in touch last year. It has been such a pleasure to see how Tim has embraced the positive reinforcement movement. Tim, as many people have done, has chosen to use both R+ and R-. Combined Reinforcement is not actually a scientific term and has no real research behind it. So this is all new and dependent on antectdotal experiences to determine the efficacy. I have 35 years of dedicated positive reinforcement(R+) training. My first ten years were spent with sea lions, whales, dolphins walruses and otters. All of our training was done in direct contact. The next 25 years I have been with equines. I started with Olympic show jumpers, dressage, world champion drivers and eventers. I worked and traveled with Beezie Madden to start figuring this out. How much R+, how much R-? How does it go together? Can it work together? I wrote a book and have done clinics and workshops all over the world. I still work with zookeepers. All this to say that I have decades of anecdotal experience to draw upon. I find that the way the information is initially processed by the learner is the key when trying to determine is this R+ or R-. Was the behavior elicited via pressure and release and THEN fed? Or was the behavior elicited with the use of a target, for example? In other words, did we apply a mild aversive to create the initial action and then release the pressure? Even if it was followed by a food reinforcer, it was created with R- . That was the initial stimulation and response. As neurobiologists such as Jaak Panksepp have discovered, that tends to activate the area of the brain responsible for fight/flight. R+ tends to activate an area of the brain referred to as the Seeking system. These different areas produce different chemicals. (cortisol vs. dopamine/endorphins). When we feed following R- we may negate the aversive nature of the stimuli. But to what degree? Keep in mind, if the removal of a stimuli(in this case pressure) increases the frequency of a behavior, then it does have some aversive quality. Otherwise, the removal of the pressure would not increase the frequency of the behavior that preceded it. There needs to be value in having the stimuli go away. If the stimuli is neutral, then if it is there or not there would not matter to the learner, it’s removal would not increase the frequency of the behavior. I call this aforementioned process “R- with a cherry on top”. The initial behavior and subsequent learning, was created via pressure and release(R-) and was then fed after the initial response. This is how most every horse person starts their foray into R+ training. If the R- has been done quite slowly and softly while being acutely aware of the horse’s emotional state, this can work well for certain horses. Frankly, at this point, there are very few horses who have been taught exclusively utilizing R+ all through their lives. So this combination of taking a previously trained behavior and adding the cherry on top is very common and in many horses sufficient enough to change the underlying emotions. However, as Sharon pointed out, they are all individuals. There are many horses who are in an unfortunate emotional place. They are beyond this point and ideally we can go back to square one and start over and create a new association and better reinforcement history. Sometimes it is just a particular behavior or area of their lives that needs to be addressed. Sometimes it is across the board and it would be best to start over, counter conditioning many aspects of their lives. Many horses are over reactive and downright fearful and some are shutdown and classified as “good” horses because of their compliance. Obviously, neither is a good situation for the horses. As I mentioned, this is definitely where most everyone new to R+ starts. So as a trainer trying to introduce this to new people, I help people to understand and I am typically okay if we start here. However, as most people begin to understand, the true changes that happen are on a deeper level and are more than changing a specific behavior. As they start to see this, they tend to begin their own journey. Many, many people over the decades have started with one simple issue and end up changing their whole approach and training protocols. I cannot begin to describe the internal changes that happen. Teaching behaviors is actually quite easy. However, it is getting the attitude right that is the hard part and it is also the thing that creates the most significant changes. Not everyone dives in deep enough to discover this change. It truly develops heart in the learners. With the marine mammals we chose R+, one reason is because even if you do have a halter and lead rope, whatcha gonna do with that on a 12,000 pound whale? We never used R-, everything was taught with R+ and everything they did was a choice. That can seem impossibly mystifying to most people. This was chosen since it is the safest way to train. It has been shown that R- is a quicker pathway to frustration, and frustration may lead to aggression. We did everything we could to minimize frustration so we chose R+. We never have the animal trapped on a lead line, they have plenty of room to leave and go away. The learner has a choice to participate or not. This is not an option that is afforded most horses. Keep in mind the marine mammals get all of their food each and everyday regardless of what they do or do not do. They get all of their social interactions regardless of what they do or do not do. So we must focus on the emotional state and be sure they think training is fun and it is their choice to engage in the training. Next we slowly but surely raise things to a vey high criteria. This is tricky but they still find this process to be a fun game and the game is reinforcing beyond the food’s value. This typically only happens when you truly embrace the R+ on a deeper level. This is when the whole process has become classically conditioned and it takes time and a commitment. This process is very effective for horses too. I focus on teaching people to understand the behavior principles and strongly encourage exploring R+ on the deepest levels, since this part hasn’t historically been done. I choose R+ for my horses but I am also realistic and prepare them for the traditional handling. I teach tactile cues via R+, this means if you press on their side, they will step over. The behavior was elicited by utilizing targets instead of pressure and release or escalation in the learning process. This way the tactile is quickly established as a salient and pleasant cue, but the end behavior and cue are understood by all. I ride and utilize my seat, legs and hands. But it has been taught utilizing targets and/or the reverse round pen to establish strong verbal cues and understanding without a rider or pressure used as pressure/release. It is simply a cue that has been taught through R+. As Ginny has mentioned, any training can be done poorly. Both R- and R+ have the potential to cause frustration and even dangerous behaviors so it is worth your while to get good instruction that can help you get off to the right start or even sort out a poor start. 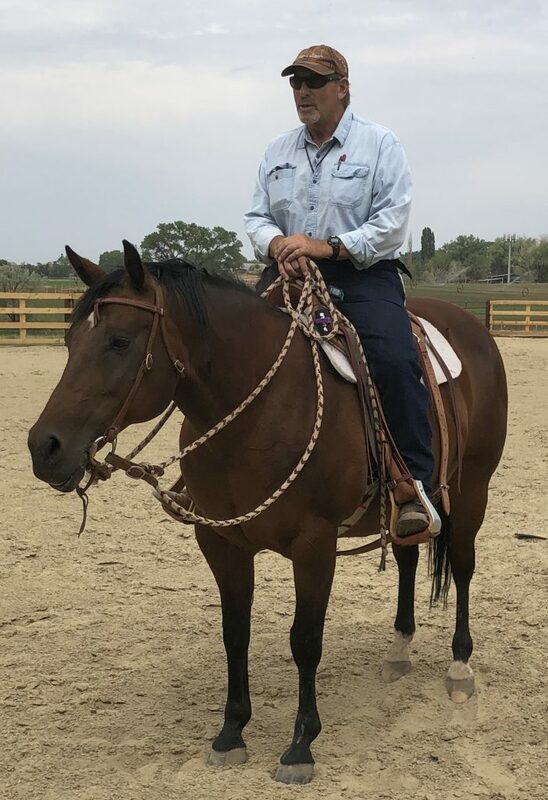 At Terra Nova Training Center in Santa Fe, NM, we are working on developing R+ options to creating traditional behaviors for competition, the horse’s balance/correct movements, husbandry, veterinary behaviors, agility work, relaxation/impulse control, rehabilitating rescue horses, etc. In fact our upcoming April intensive worksop involves the beginning phases of bringing our new addition, an untouchable yearling named Taz, along with R+. So whether you are new to the idea of R+, you are somewhere along the path or already a dedicated enthusiast, there are some great resources out there these days. To follow Sharon’s lead, you are also welcome to come visit us out here in lovely Santa Fe. We are a large working barn dedicated to R+ learning. We are also building a classroom and another arena to facilitate more liberty work and our workshops…. AND more opportunities for despooking/desensitization! Wonderful reply, Sharon Madera. Thank you for taking the time to post it.